Rock like the Pros - Digital Wander, Inc.
Rock like the Pros is a guitar lessons app from famed guitar teacher Terry Carter. 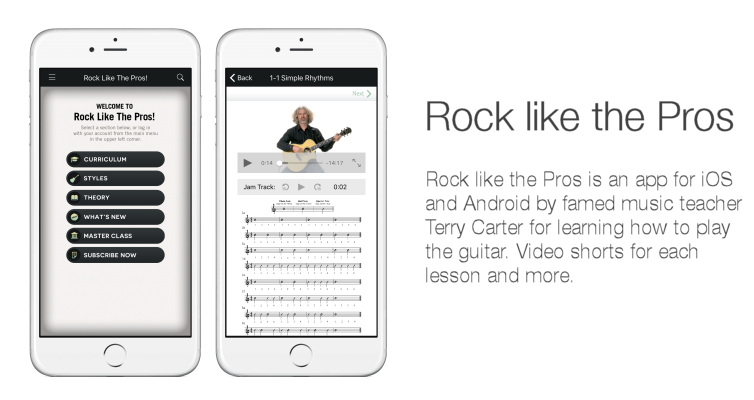 The app includes content from all of Terry’s guitar lessons books, as well as videos of each lesson, audio sample clips, and a music note sheet. Available for both iOS and Android.